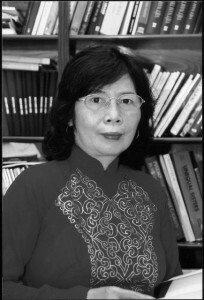 Le Thi Quy, born in 1950 in Hanoi, is a sociologist and Director of the Center for Gender and Development Research, Hanoi University. After graduating from the History Department of Hanoi University, she earned her PhD in Russia, did pioneering research on issues related to families and women, and she is the first Vietnamese lecturer on gender issues in Vietnam. Government has used her research to develop social policies. She founded “returned women” – groups that have helped 53 women victims of trafficking overcome practical difficulties and integrate into the community.